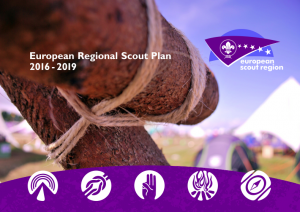 The European Scout Committee is pleased to share with you the initial elaboration of the Regional Scout Plan 2016-2019. Following the Regional Conference in June the Committee has been engaged in a number of training opportunities, and was in particular guided by best NGO practice to allow the regional working groups to determine their own Key Performance Indicators (KPIs) and to measure them on a regular basis. To ensure that the parameters are set, the Committee has indicated the outcomes that it expects from each area. This will enable the groups to decide on actions and outputs. The Committee feels that the slight delay in releasing the new Reginoal Scout Plan will ensure that the groups have effective ownership of their work in fulfilling the Plan.